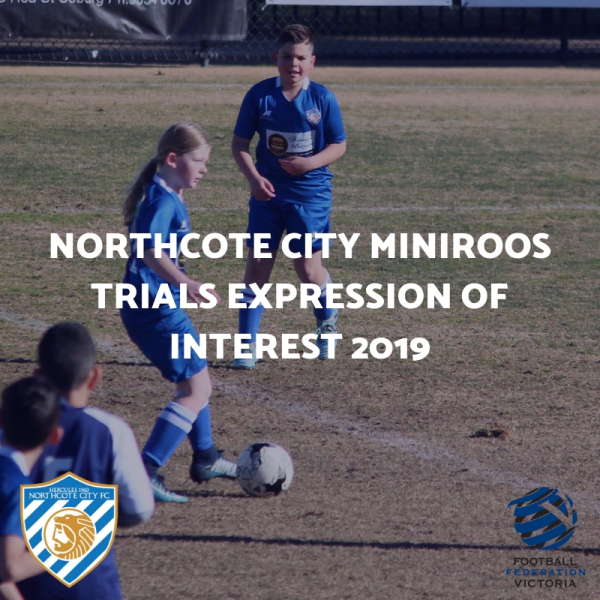 Northcote City FC is opening expressions of interest for our 2019 Miniroos programs. All players (internal and external) must complete an expression of interest form if they wish play at Northcote City in 2019. Further information about our 2019 NPL programs will be communicated on our website. Players must complete the form that corresponds to their birth year, click on relevant birth year.